It is possible to activate a string solely through sympathetic resonance. Sympathetic resonance occurs when in a formerly passive string or vibratory body is activated by an external sound source operating on a similar frequency. A particularly effect method of activating the double bass' strings is by using a sine wave. These can be generated through speakers or even by applications on mobile phones as long as the audio source is of a sufficient volume to activate the string. 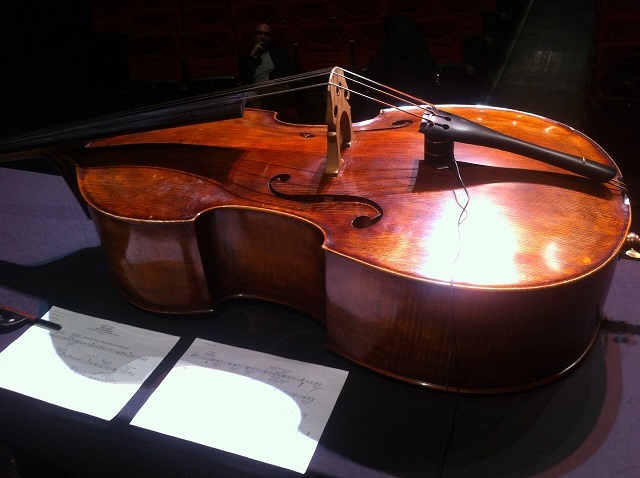 Any instrument or pitch generating device can be used to generate sympathetic resonance if it is articulating a pitch which is shared by the double bass' available harmonics but is heavily dependent on volume (the dynamic level must be high enough to activate the relevant string), shared intonation and proximity. 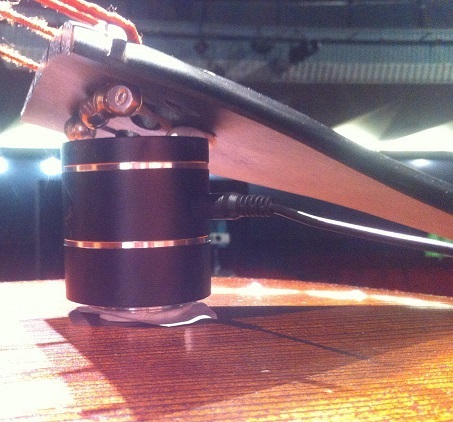 Example of contact speaker mounting by Allesandro Perini.